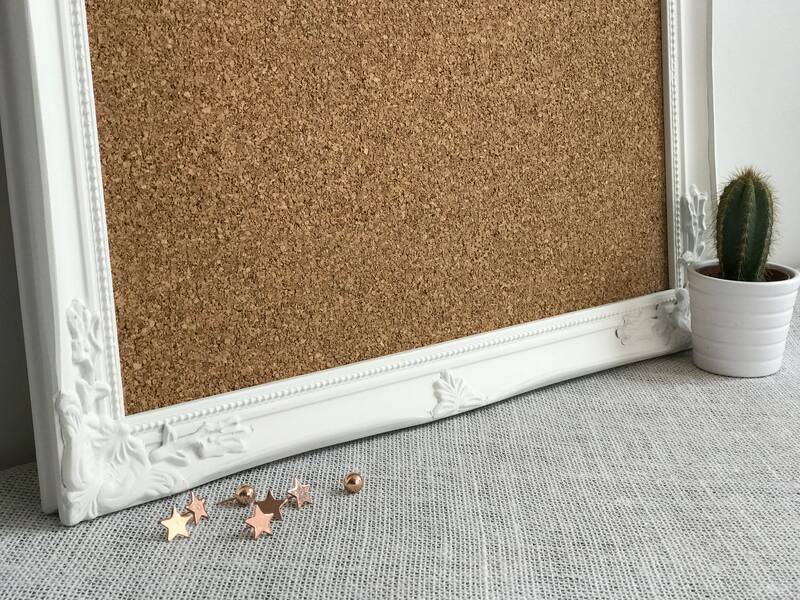 Do you need a CORK BOARD you can easily pin those important reminders to? Do you want it to be both functional and decorative? 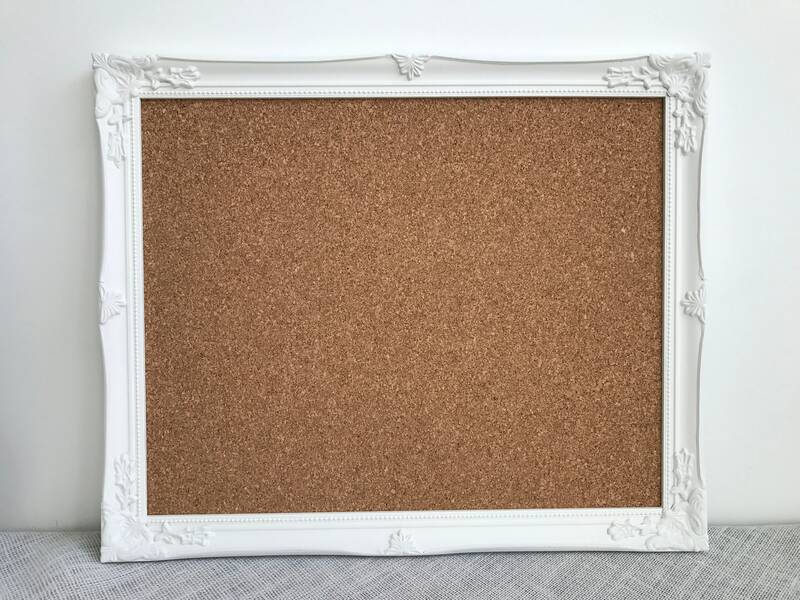 Then this framed cork board is the ideal solution! 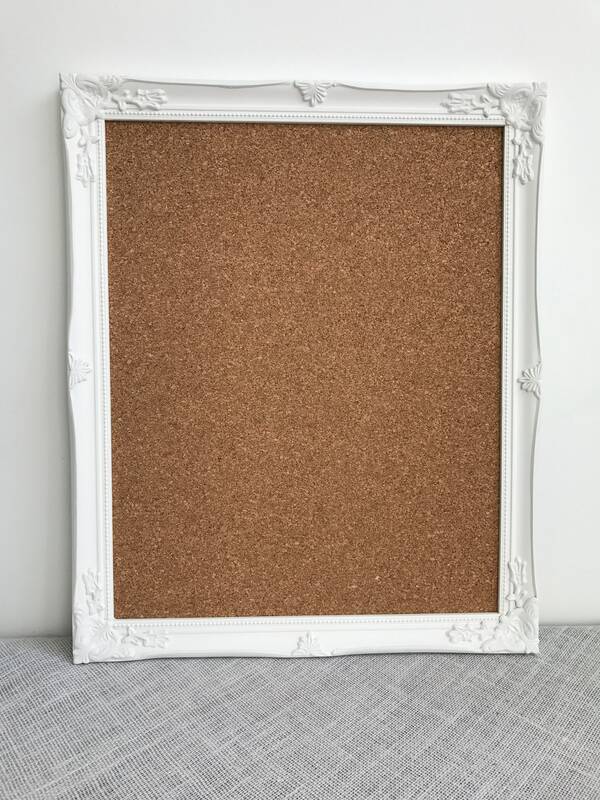 Ornate framed CORK BOARDS are perfect for the home or office, from the bedroom, hallway, or kitchen to craft room wall, workroom or study. 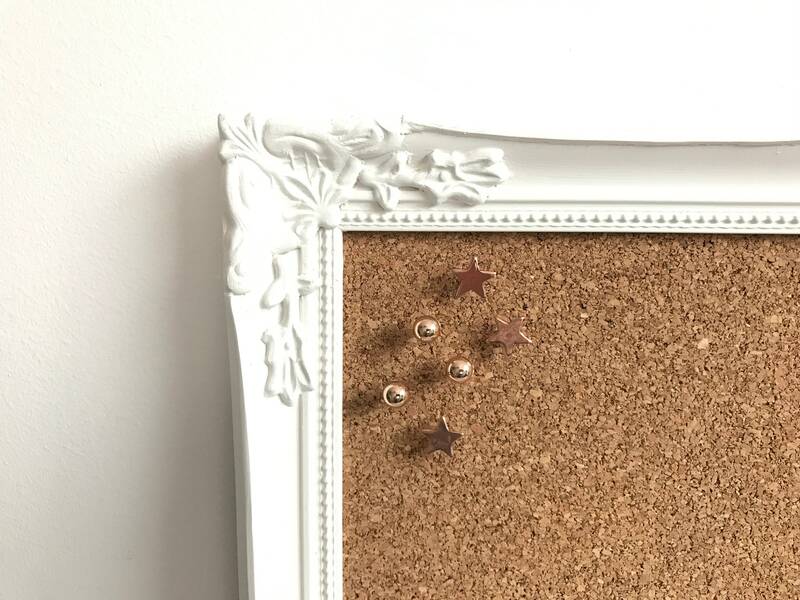 This pretty push pinboard is ideal for pinning photos, cut outs, notes or business cards on. 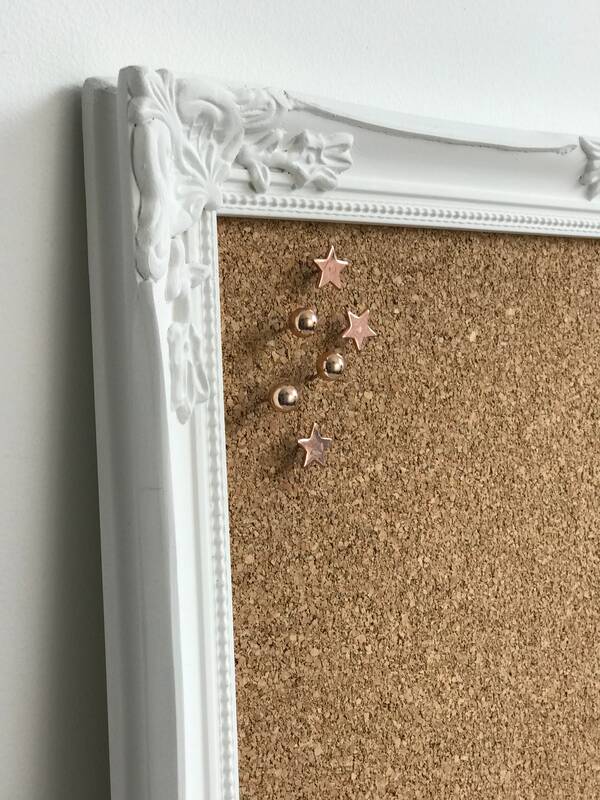 I use mine as a vision board to pin my important goals and milestones and I have one in the bedroom to pin my earrings and jewelry on so I can grab and go. What would you use yours for? Getting married? 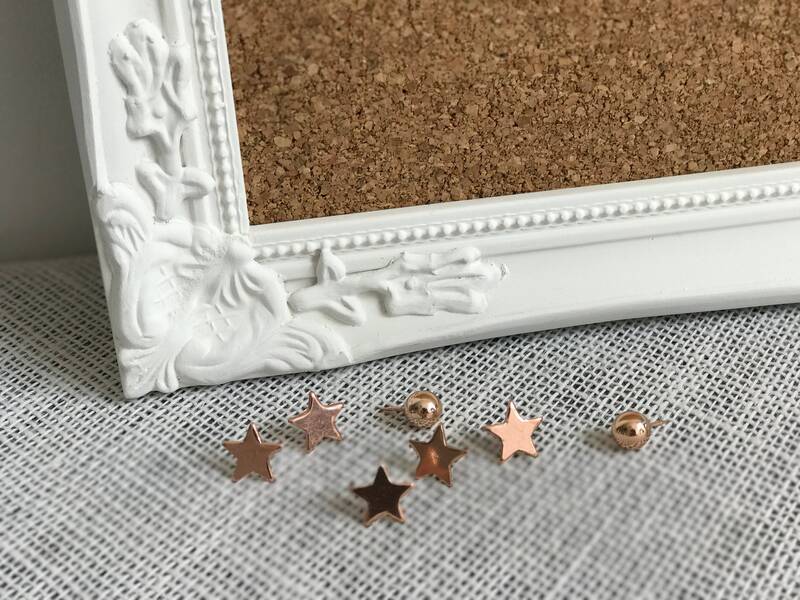 Why not use as a wedding sign or photo prop on your special day! + All board come ready to hang with fittings. 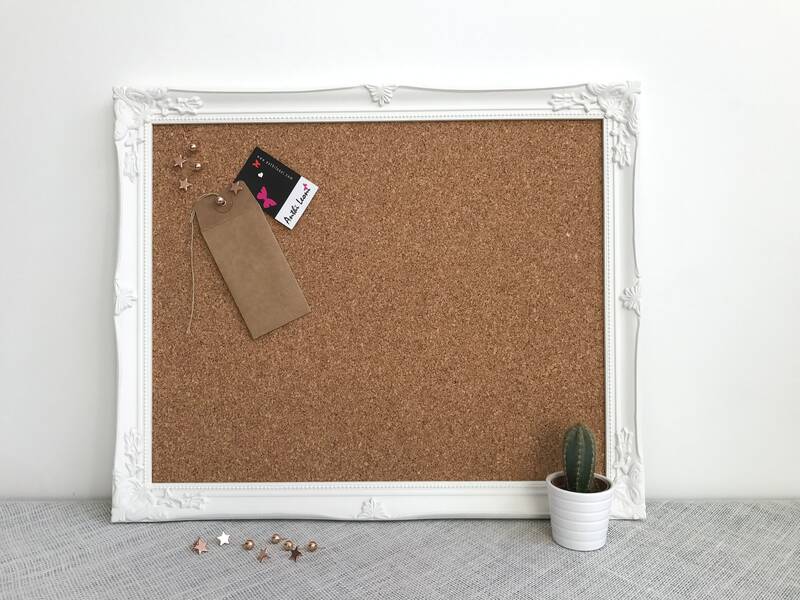 + Real WOOD frame, with plaster mouldings to give a vintage feel. 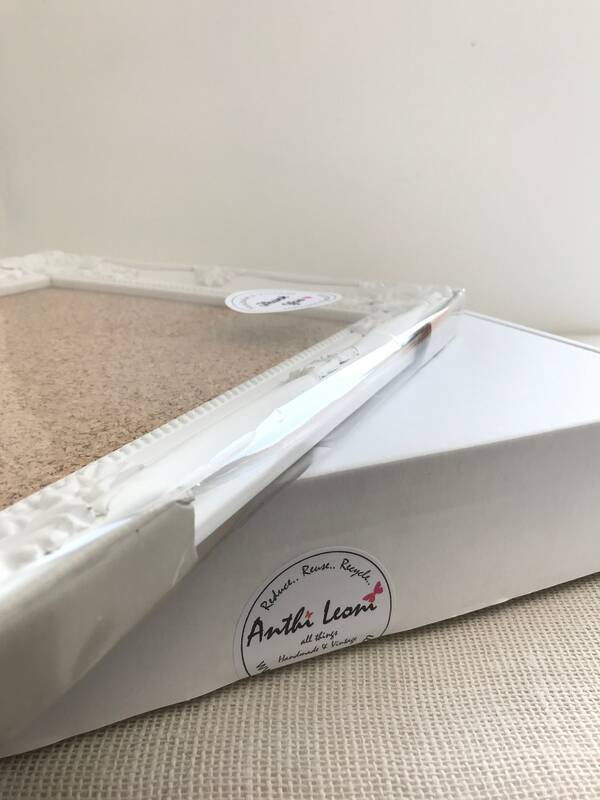 + Each picture frame comes beautifully wrapped in cellophane. 1. Do you want to hang Landscape or Portrait? 2. Simply click ADD to CART and proceed to check out. 3. Please provide your contact telephone number in the note to seller or convo me. International orders will not be shipped until one is provided. 4. 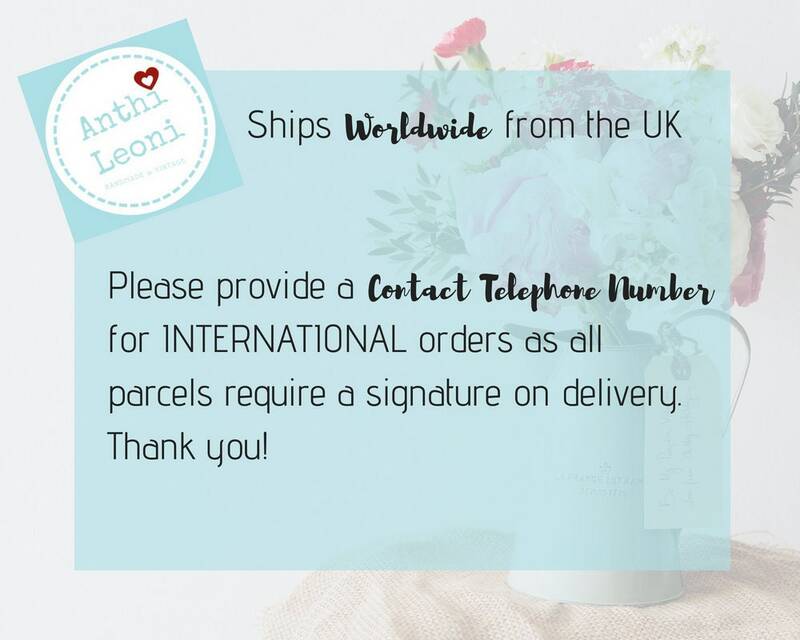 Once you've completed your purchase you'll receive a confirmation from me and you can eagerly await your order! Turnaround time is 3-5 days on this product. If you require quicker please convo me or request expedited shipping.